Can a Code of Conduct Really Affect Culture and Drive Better Behavior? Home » Code of Conduct » Can a Code of Conduct Really Affect Culture and Drive Better Behavior? 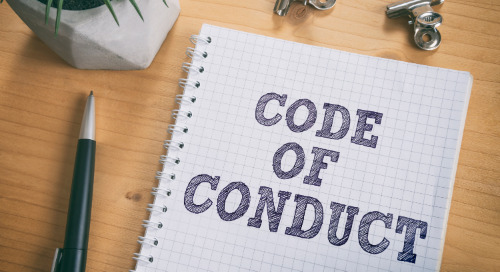 Over the past year, we’ve seen a significant uptick in the term “code of conduct” in the news as a result of the spate of the recent ethics and compliance failures across industries. 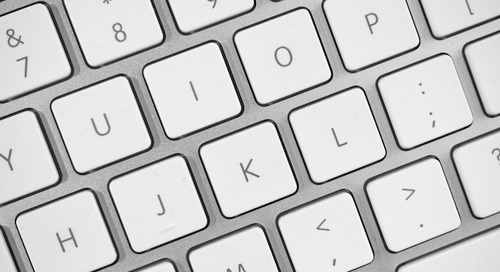 Codes of conduct are now more important than ever. Throughout human history, civilizations have established codes of conduct and behavior – whether religious, legal, or cultural. From the time we are children, we are taught about right and wrong, and how to behave. The enticement to conform has always been a combination of rewards for doing the right thing and punishment for doing the wrong thing. 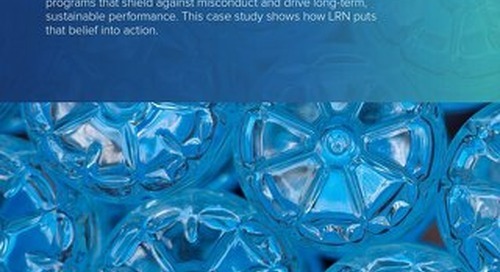 Corporate codes of conduct have evolved over the past 20 years – from a compendium of rules and regulations telling employees what they can and cannot do – to a set of guidelines for employees to follow – to beacons that inspire principled performance. 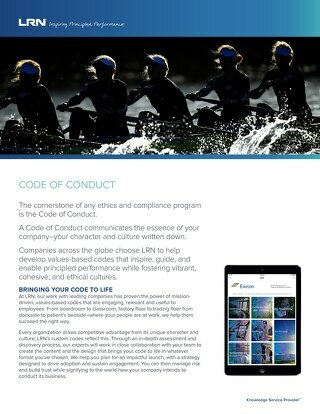 We like to think of a code of conduct as an organization’s “culture written down”. We want codes of conduct to be a statement of who you are, what you believe, how you relate to others and the world, and how things get done. The most effective codes of conduct start with the organization’s purpose, which leads to the core values, which in turn drive the desired behaviors that result in positive business outcomes. The tone is positive, the voice is inclusive, and the language is simple and direct. Employees should see themselves and their colleagues in the code. They should be able to say with pride “this is where I work”. Likewise, customers, suppliers, shareholders, and prospective employees should be able to get a sense of what it’s like to work at that company. The code should also be a user-friendly “gateway” to a company’s entire ethics and compliance program that is referenced throughout the year, rather than just read once a year during the annual code certification process. Finally, an effective code of conduct is only part of the puzzle. It must be accompanied by a robust education and communication program, and ongoing measurement of the effectiveness of an E&C program, and its impact on the culture and vice versa. There are so many exciting new solutions and technologies to embed the code of conduct into the fabric of the organization, including mobile apps, games, and analytics. These are not technology for technology sake, they are new ways to learn based on those best fit to your workforce. The Code is the foundation, but how it’s understood and embodied defines a resilient corporate culture; becoming something felt across the organization, its partners and the community it serves. 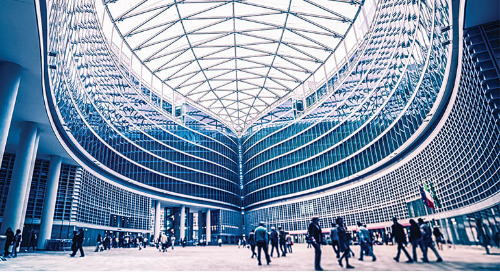 Those of us in the E&C community understand the current climate provides an opportunity to put a spotlight on the importance of values in driving elevated behavior and corporate performance. Our role in corporate America and the world has never been more important. 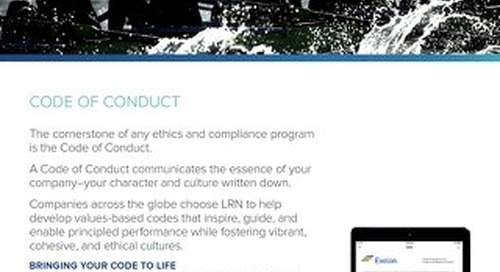 Learn how LRN can work in collaboration with your team to bring your code of conduct to life. 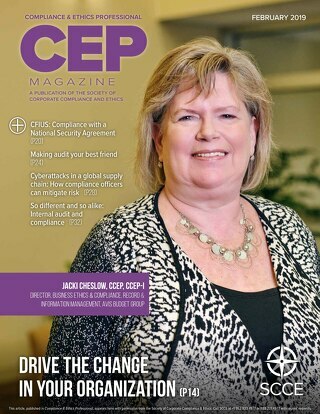 SCCE's Compliance and Ethics Professional Magazine: Your Code of Conduct Looks Great, but What Does It Do? LRN's Jim Walton has been published in the February issue of SCCE's Compliance and Ethics Professional Magazine. 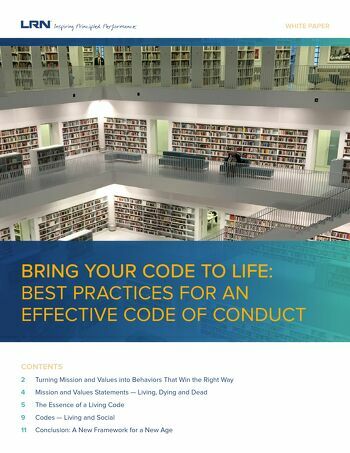 In his article, he explains how to develop Codes of Conduct that are truly impactful. The purpose of a Code of Conduct is to affect behavior – to reinforce good behavior and discourage bad behavior. But HOW do we do that? Three words answer that question – inspire, guide, and enable. Learn how to develop a mission-oriented, values-based code that is unique to your company’s culture and relevant to the needs of the business. 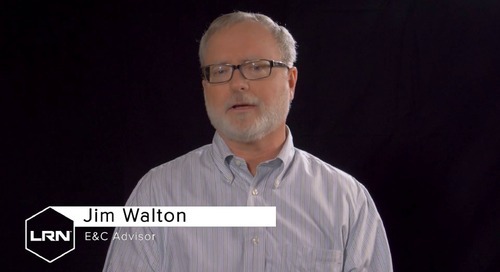 LRN's Jim Walton, a member of our E&C Advisory team, discusses the characteristics of an effective Code of Conduct. Click here to watch the video. 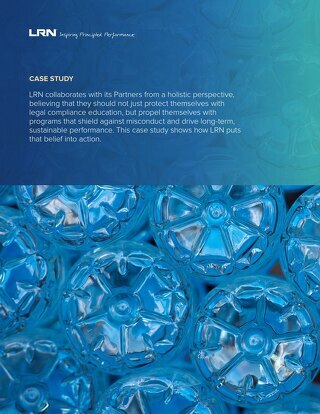 Learn how LRN helped Bemis carry out its vision to build a new program, including writing a new Code of Conduct and developing a training program for its global employees.